Wellington: A male passenger’s body has been found inside an airliner that ditched and sank in a lagoon last week after missing the runway on a remote Pacific island, officials said. 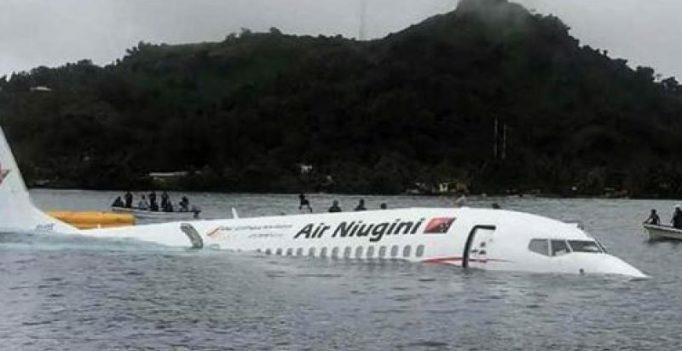 “It is with great sadness I confirm that the body of a male passenger was discovered by divers today as they conducted a further search of P2-PXE and the surrounding area in Chuuk lagoon,” Air Niugini chief executive Tahawar Durrani said in a statement late Monday. “Plans are underway to recover the black box from the submerged airplane,” it said in a statement. Air Niugini said Friday it had been informed that “the weather was very poor with heavy rain and reduced visibility at the time of incident”.